Home » News » What is INITIAL EXCHANGE OFFERING (IEO)? The term was introduced to distinguish it from initial public offering for company stock on regular stock exchanges (IPO) and initial public offering of tokens and cryptocurrency (ICO). Why do we need IEO? IEO is a new instrument for a public fundraising (crowdsale) using cryptocurrency, which appeared as the response of cryptocurrency market to the ineffective ICO phenomenon. IEO differs in important ways from ICO that makes it similar to IPO. IEO is not a public offering provided by smart contract like ICO. IEO is a public offering on the certain cryptocurrency exchange, which performs project pre-selection. How does IEO differ from ICO? It is a reminder that ICO became the main way of fundraising by startups through cryptocurrency crowdsale (public auctions) in 2016-2018. For the purpose of ICO any person, who has an intention to invest funds in a project, converts his money (often as cryptocurrency) into project tokens, which further are used for company’s goods shopping (utility) or for corporate governance participation (security). Generally, ICO is performed by anyone who feels like it using smart contract providing (code) on blockchain often without any legal safeguards for investors. The main ICO problem is ability to disappear for unfair projects with raised money after ICO realization. In fact, ICO does not involve proper financial monitoring for investors, even if project organizers do not disappear. Since 2018 startup market has started searching of ways for solving this problem. Such mechanisms of fundraising as STO (Security Token Offering) and ICCO (Initial Convertible Coin Offering) were proposed as remedies, but they did not work out. New idea was realized in the beginning of 2019, it took shape in IEO. Although IEO process is overall similar to ICO, in case of IEO, represented by cryptocurrency exchange, third side takes part in fundraising. Cryptocurrency exchange serves as a fidelity bond agency. Exchange fundraises under the authority of cryptocurrency asset emitter. There are several differences which let us identify IEO as the perspective instrument for startup financing, which is capable to renew market of cryptocurrency public offer in blockchain and provide stable and long-term growth of cryptocurrency market. The main and principal difference between IEO and ICO is that project selection for IEO is performed by exchanges. Then bigger exchange and then more long-term its existence plans, the higher probability of qualitative selection of well-prepared projects and companies entering the exchange. Long-term business strategy of exchanges is maximal fundraising and long-term support of high trade turnovers. Correspondingly companies, which collect money and disappear without any product development, are unbeneficial for exchanges. Then more perspectives for long-term growth of trade values has company, the more benefits have that company on IEO exchange. That is why it is beneficial for exchanges to perform high-quality project analytics. There is a direct analogy with IPO. As we understand, following logic step for cryptocurrency exchanges would be creating of professional partner venture capital funds and therewith selection of investment project. Lots of ICO, which were performed in 2016-2018, still have not got listing on exchanges, it is so important for early investors. If you act on this market professionally, you certainly should know about such ICO examples. However, in case of IEO token listing is already guaranteed by exchanges and comes at once or soon after crowdsale. Moreover, important that investor, which bought from early investors IEO tokens on the exchange, also could sell them with profits (although it is possible that it will take longer for the same profit margins). 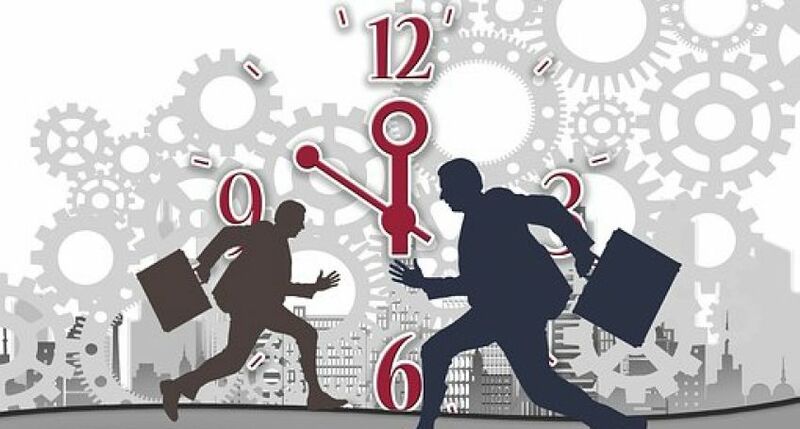 In this way exchanges goal, which gets for realization remarkable token amount and is in close contact with the project, is prevention of token slump despite possible unfriendly manipulations from trader side and support of progressive and stable growth of token price corresponding to successfulness of business-processes in companies. In this way, having remarkable financial resources and solid experience in market making (price support and liquidity), exchange can create optimal conditions for profit-making by investors both in the near term (sale to investors, which got chance to enter IEO) and long term outlook (sale to investors, which bought cryptoassets from first investors). From technical point of view, IEO is more safe then ICO: exchange will not swindle, perform fishing etc. As token sale is on the basis of exchange, safety level which exchange should provide for itself and its traders is higher, as their partnership should be successful for a long time period. It is rather obvious that the most successful IEO will be performed by the exchanges with maximal liquidity, such as Binance and other top exchanges. A IEO-agency can help with the optimal exchange selection for your project, which performs IEO project preparation and listing on the exchange, is familiar with exchange requirements and criteria, is in a permanent contact with the exchanges and in partnerships with them (list of IEO-agencies is shown bellow). Exchanges have different criteria for considering of candidate IEO-projects. There is raw of different parameters, the exchange performs due diligence in accordance with them. Project, that suits exchange in accordance with these criteria, pay the cost for IEO performing, due diligence (which depend on project and might be equal to zero), and also arrange for quantitative IEO parameters. At the moment these criteria and parameters are rather different for different exchanges and might differ for distinct projects. During talks exchanges show some details, which are commercial confidentiality, that is why they often ask to sign privacy agreement and other IEO partner document. In that case project needs consultation with experienced jurists during relationship creation with exchange. Project and exchange arrange about terms and another conditions of IEO performing, for example, limit for one buyer investment. When IEO starts, interested investor can buy project tokens on exchange. Last IEO show that amount of those who wish to invest far exceeds project needs. As example of Fetch AI has shown, exchange popularity is enough parameter for successful IEO discharge. However, as in case of BitTorrent, popularity of brand and good reputation let raise necessary funds. It is possible to propose that promotional marketing will be performed by projects and exchanges together in future. Exchanges with the best due diligence will attract IEO investors due to qualitative analysis, also due to high investment profitability and word-of-mouth marketing. There are features in comparison with ICO for IEO investors. ICO investors directly send their funds to project organizers, but IEO investors initially have to register on exchange and pass the procedure Know Your Customer (KYC). Then investors transfer funds in form which provided by IEO on exchange bills. Investors can buy tokens directly on exchange stock after IEO starts. However, KYC passing and availability of money in plenty for investment is not necessarily a guarantee of success. Demand exceeds supply and not all the investors can fundraise perspective projects. Project organizers and exchange actually promote each other by marketing optimization and combining forces during IEO performing. Project organizers have benefits due to big potential investors base from the list of exchange clients. Moreover, time that required from token sales to exchange till listing is minimal, listing starts just after initial sale ends. Exchanges are also interested in listing of perspective project tokens: token popularity guaranties more operations, therefore, trade commissions for dealings. Exclusivity of preposition for new token provides flow-in new customers to exchange. Also exchange gets pay from the project for listing and IEO performing. We can evaluate huge success Binance Launchpad that confirms interest to IEO. Public sales of tokens BitTorrent and Fetch.AI on stock of Binance Launchpad were realized on the base of IEO principles. Project BitTorrent collected 7,2 millions of dollars during 18 minutes, and Fetch AI got 6 millions investment during 22 seconds. This initialized hyip about public cryptocurrency crowdsale as IEO. Similar following project will be Celer Network, its token sell starts on 19 March 2019. Our partners, IEO Agency ltd. suggests assistance to projects with preparation to IEO.